The publication accompanies C.T. Jasper and Joanna Malinowska’s exhibition, which reflected on the inseparability of life and art; its justification is the connection of two individuals, a couple of artists and the affinities and differences that connect and polarise their artistic attitudes. The auto-thematic narration took the form of a classic museum retrospective, with a structured presentation of the authors’ most important works. The references made to different cultures, ethnic and artistic phenomena are characteristic of both artists’ works. The project reflects the time-spatial directions of creative explorations of both Malinowska and C.T. Jasper, which result in the creation of worlds do not necessarily relying on empirical experience but being results of speculation, fixed mythologies and canons, as well as abstract thinking. The works by both artists, sharing their life together and pursuing separate artistic careers, are juxtaposed so that they could supplement and contrast each other. Apart from presenting the artists’ works in their home country, the exhibition focused on the reflection on the notions of artistic practice. C.T. Jasper i Joanna Malinowska represented Poland at 56th Venice Biennale in 2015 (‘Halka/Haiti. 18°48’05”N 72°23’01”W’). 5. A scientific paper by Professor Iwo Zmyślony on legitimisation of knowledge by science and the culture-creative role of science. The publication contains also biographical notes of the artists and authors of the texts, the list of works, photographs of works and the documentary pictures from the exposition. 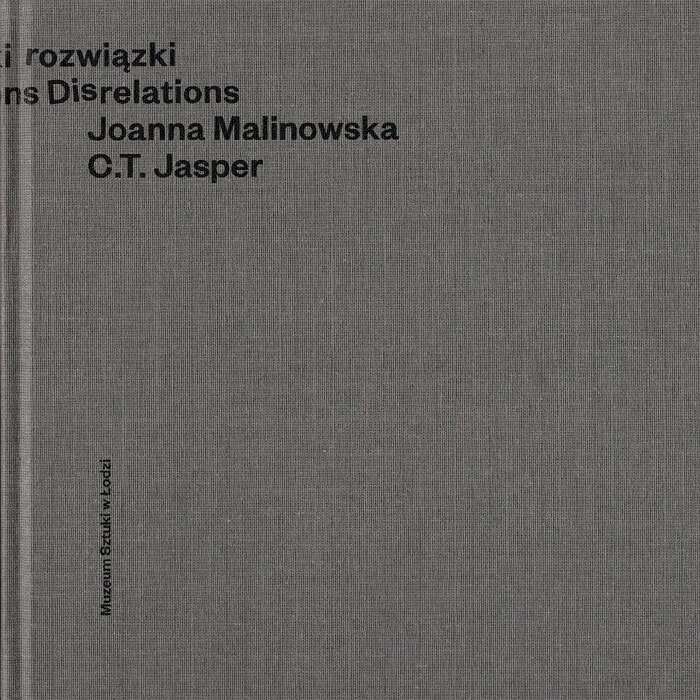 Publication accompanying the exhibition: „Joanna Malinowska, C.T.Jasper. Relations Disrelations” which took place at Muzeum Sztuki in Łódź (23.03-16.05.2015).